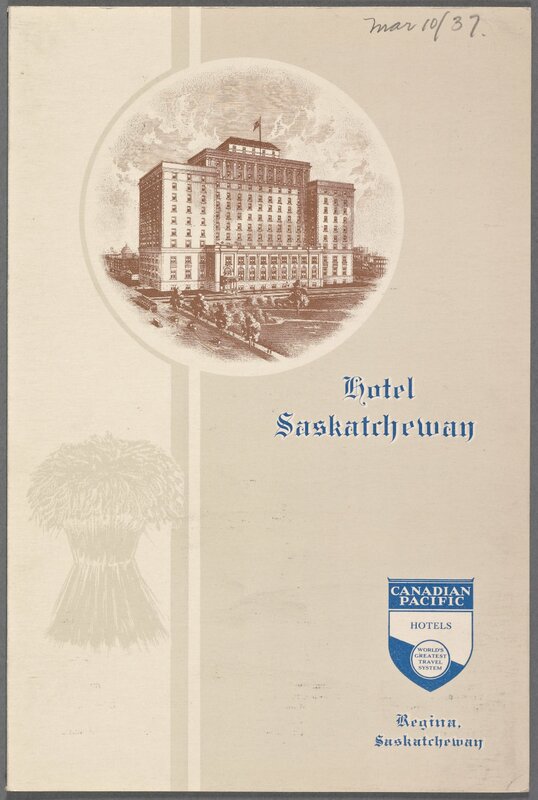 Hotel Saskatchewan was built in 1927 in the boxy, neo-classical style popular in the 1930s and 40s, and was a Regina institution for decades. The “Sask” was a charter member of the Canadian Pacific Railway hotels that dotted the CPR’s trans-continental line linking Canada’s far-flung regions. The railway and hotel network did much to foster Canada’s early expansion and growth. Today the Sask is owned by Temple Hotels, a unit of the Ontario-based, publicly-traded Morguard Investments. The menu, sourced from the nypl.org digital archive, reflects a diversity of influences. Offerings included B.C. planked salmon; pickerel fillets from northern lakes; Britannic standbys such as liver and bacon, beefsteak, and lamb with chutney; and domestic-style, North American foods like tomato soup, ham steak, potato salad, shortcake. The odd-sounding sauerkraut juice likely owes something to the Central and East European immigration encouraged in the West by the federal Liberal Party after 1900, especially to develop farming. The odd continental dish appears as well, some from the French repertoire. One is “Stuffed French Mushrooms With Noodles, Chimay”, offered as a main course. Those who know beer and gastronomy will immediately think of the noted beer made in Chimay, Belgium by its Trappist monastery, or perhaps the cheese made in the same cloister. We have an interest in Chimay beer and have written about it in numerous respects. We uncovered its alcohol content in 1877, and discussed as well Chimay’s all-malt roots in this piece. While the beer was commercialized early to help support the monastery and its works, we’re speaking in relative terms. Was the beer well-enough known in the 1930s to feature in international hotel catering? Not at all. Apart from the temporal problem, the idea that the sparest of monastic diets (and the monks themselves largely abjure the beer) could inspire plush restaurant eating is simply out of the question. “Chimay” in the dish mentioned must have meant something else, then. Yet, explanations do not come easily. The Hainault region in Belgium with its main cities of Mons, Tournai, and Charleroi is not known as a gastronomic haven, despite or perhaps because of the famous Spa. The region does not harbour the kind of fashionable hotels and restaurants or encourage the social circles that produce dishes to capture the international imagination. 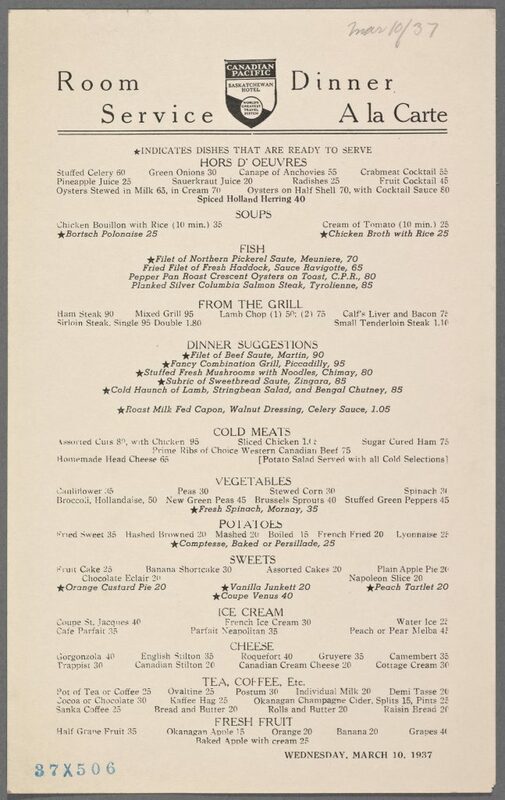 Chicken Normandy, peach Melba, veal Marengo (Napoleon), Saratoga chips – all these make sense. What could the hamlet of Chimay, dominated by the ancient castle of an old European line, have to do with haute bourgeois eating in hardscrabble, 1930s western Canada? I examined the question, and found that almost certainly the CPR’s dish is named for Clara Ward, Princesse de Caraman-Chimay (1873-1916). Ward was born in Detroit, Michigan of a rich industrialist family. She married the Prince of said title at only 16 or 17 (accounts vary). Her background and eventful life are set out in a number of sources including this well-referenced essay. Only the second American to become a princess, the union with a Belgian prince twice her age did not last. She took up with no less than King Leopold II, a cousin of the Prince, and ended marrying three more times. 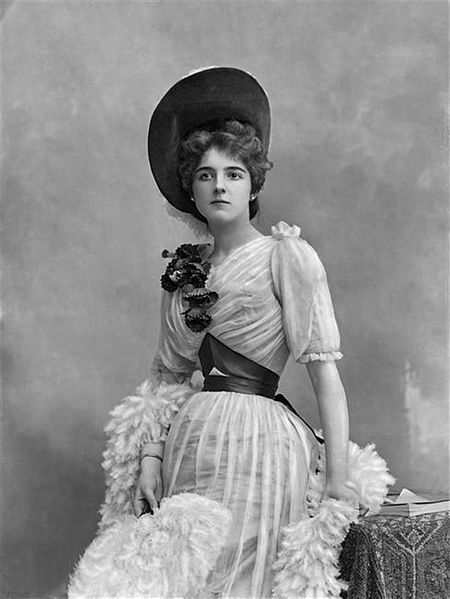 She had a stage career as well and may have worked as a courtesan, a femme de scandale. As a chocolate cake is named for one of the husbands, Rigó Jancsi, a Hungarian Gypsy violinist, it is plausible and almost certain in our view that the Princess inspired all dishes termed Chimay in the standard culinary repertoire. The pair were known to frequent the fashionable restaurants that her position and wealth gave access to. Then as now restaurants eager to obtain the patronage of the rich and famous named dishes after their pet guests or an event or place connected to them. This is a recipe for the Jansci cake, contributed by Wayne Harley Brachman to the Food Network. Yes, there were other Princesses of Chimay before Clara Ward. They are unlikely to have inspired the Chimay dishes as these emerge in cuisine after Ward left America for Europe, propelled by her ambitious mother. “Eggs Chimay”, or oeufs à la Chimay, is one such dish. One or two references, including this 1975 New York Times recipe, even terms it “Eggs in the Style of Princess Chimay”. It blends minced egg yolk with a duxelle – mushrooms cooked in butter and minced – which is then stuffed into the hollow of boiled egg white. A Mornay sauce with Parmesan is poured over, and glazed under the grill. The dish is served as an appetizer, generally. Here is another recipe for the eggs dish from the blog Yes Chef, No Chef. Another classic Chimay dish is Chicken Chimay, which involves the noodles mentioned on the CPR’s 1937 menu. This recipe from Escoffier illustrates what he calls Chimay Pullet or Chimay Poularde, see p. 496. The CPR’s 1930s dish appears to adapt two classic Chimay dishes to come up with a third. Mushrooms are stuffed instead of the eggs, perhaps with minced chicken, and likely glazed with Mornay. Noodles are served alongside. But it all draws from the same roots, Chimay-styled dishes of the classic repertoire. Needless to say no beer is dashed in here. The term Chimay is used in an entirely different sense, which can lend confusion in 2018. If you google dishes for chicken, or eggs, + Chimay newer recipes appear that are quite unconnected to Eggs Chimay or Chicken Chimay. This is because the Cistercian-made beer has become fashionable in the last 30 years and chefs have sought to use it in the kitchen. But as to the traditional Chicken or Eggs Chimay, they evidently were named for Clara Ward, at least no other explanation appears as likely. Imagine our Daisy Miller-turned-blueblood on the Paris stage today. She might, in a smart restaurant after the show, notice a dish bearing the name of her first European home, be it of the older or newer style. She might even notice the beer itself on a wine and spirits list. Maybe she would order a Chimay ale in its distinctive, skittle-shaped bottle to accompany the meal, with no little pride we can assume. “Les moines de ma principauté le font ne savez-vous pas“. N.B. There is an interesting Toronto connection to Clara Ward’s career, see this article by Anna Passante who explains Ward spent most of her youth there. Note re images: the first and last images were sourced from the NYPL menu archive linked in the text. 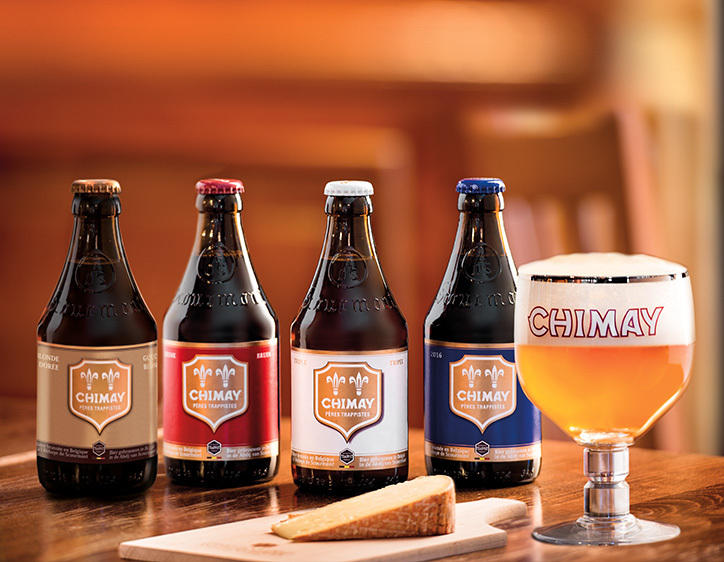 The second image was sourced from the website for Chimay beer, here. The third image was sourced from this informative web page on Clara Ward. All intellectual property therein belongs solely to their lawful owner, as applicable. Images used for educational and historical purposes. All feedback welcomed. Julia Child catalogued a recipe for eggs Chimay, see here. It’s from her book, Julia’s Kitchen Wisdom. She calls the recipe “very French”, a testament to its heavy quota of cream, butter and cheese. She states it is a good luncheon or supper dish. A subtle Americanization is at work here in our view as the dish in Europe was an appetizer, which meant for (as viewed today) impossibly rich dinners. The CPR too adapted a similar dish for main course purposes.